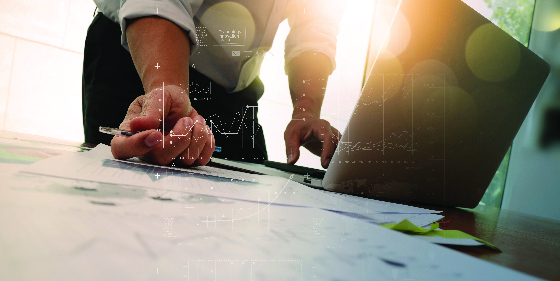 Technology continues to advance at an accelerated rate, creating more open positions for skilled technology professionals every day, but can we keep up? A recent survey report from iCIMS found 49 percent of tech hiring professionals find it more difficult to find skilled technology professionals to fill their open positions than they did two years ago. Of those experiencing this difficulty, 82 percent agree that this is driven by a shortage of applicants who have the right skills or experience. But this may only be the beginning of this trend, by 2022, the demand for people with the skills necessary to develop technologies to advance artificial intelligence, the internet of things, blockchain and cybersecurity will exceed the supply of workers. The Wall Street Journal reported this may result in a shortage of 900,000 highly-compensated jobs. Certain roles in tech have been growing more rapidly than others. 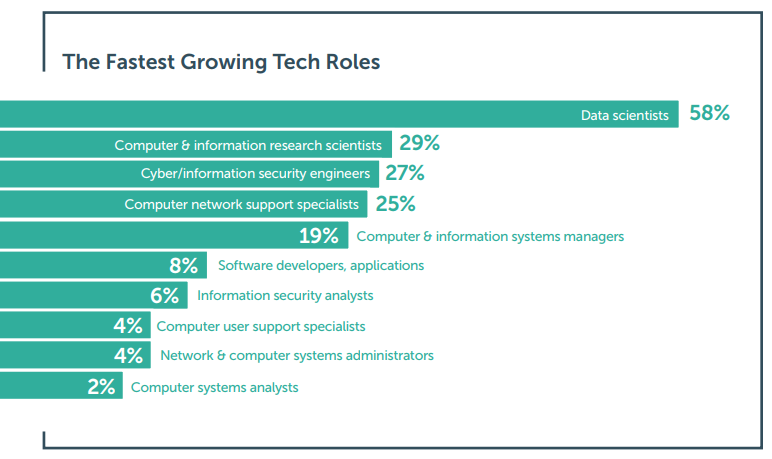 Over the last two years, data scientist and computer & information research scientist roles had the highest increase in hires according to iCIMS system data, which is drawn from the company’s database of more than 75 million applications and four million jobs posted per year. Because of this rapid growth, employers are being forced to think creatively about where to find candidates and how to create training programs that can help bridge the increased skills gap. To combat the talent shortage, 74 percent of tech hiring professionals have increased their hiring of freelance or contingent technology workers. The top reasons for turning to freelance and contingent workers are costs and the availability of specialized skills and flexibility. Historically, U.S. workers have defined job types as either white or blue collar. Seeing a widening skills gap and increased demand for tech talent, IBM CEO Ginni Rometty coined the term “new collar jobs” to describe occupations that focus more on a candidate’s skills rather than education level. This concept of new-collar jobs provides an alternative to expensive, four-year college degrees and enables employers to redefine job qualifications. Today, companies are eager to staff newly created technology positions with candidates that have a particular set of skills, but who don’t necessarily have a traditional four-year college degree. According to the iCIMS survey, 96 percent of technology hiring professionals agree that over the past two years, there has been more acceptance of hiring technology candidates with alternative qualifications, such as coding boot camps or certification courses instead. People with non-traditional backgrounds are becoming valuable to the tech industry, too. In fact, 45 percent of tech hiring professionals agree in the next two years, a coding boot camp will be as meaningful of a qualification for skilled technology jobs as a college degree. As the technology landscape continues to evolve, the next hot tech role may not even exist yet. Employers will need to continue to find new and creative ways to find the talent that has the skills or the potential to develop the skills to solve the tech problems of the future. creating long-term partnerships with local colleges to create a pipeline of qualified talent.